Smoked Oyster Dip | Mexican Appetizers and More! 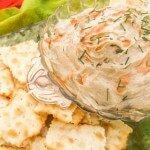 For my my smoked oyster lovers, this Smoked Oyster Dip is perfect for you! Quick and simple to make. Serve with crackers, small pieces of toast or veggies. Smoked Oyster Dip? Well first I would like to attribute this particular recipe to a fellow food blogger by the name of Mely Martinez at Mexico In My Kitchen. This is her recipe of which I noticed from her food blog and wanted to recreate in my own home. Mely, is a food blogger with Mexican derived food passion as myself. She creates authentic Mexican dishes from the heart. There are several food bloggers that I loyally follow because I admire their passion for food, for cooking, and MOST importantly their passion of cooking with LOVE. I don’t know about you, but when I cook with love in my heart, my food comes out amazing! I get the WAOSSSSS! I get, “Cathy, that’s amazing!” “Cathy, are you writing down these recipes? !” “Cathy, can you tell me what you put in this? !” “Cathy, you need to write a cookbook!” That’s one of the most fulfilling feelings in my life! Knowing, I have made a mark on someones culinary experience….on their palate! That is one of the major aspects I look for in a food blog! We all see pretty, beautiful pictures, nice posts talking about the recipe, but one thing you can’t fake is the love….the true passion for cooking. Sorry, but it comes through, it shows in more ways than one! Well, with Mely Martinez, you get that. You see her authenticity. Wow, I just caught myself once again in my undeniable love for Mexican cooking, it sounds like I’m being paid for writing, maybe writing about her…..I AM NOT!!! She doesn’t know me and I certainly don’t know her, but I know when to detect a food blogger that has true love and passion in their cooking! So Mely Martinez, let me say here on my blog, thank you for sharing your passion with us. Okay, so lets talk about this Smoked Oyster Dip a little. First as I said in the beginning of this post, it’s super simple to make, super simpleee! Just keep a can of smoked oysters in your pantry, some cream cheese, sour cream, hot sauce and crackers and you will be set for when unexpected company shows up! This dip is also great for the holidays. A quick stress free dip when the stress of all the other holiday dishes need to be made. 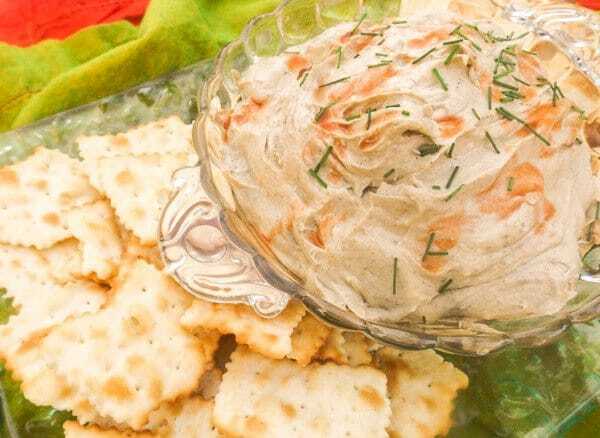 Note* One last thing, if you do not like smoked oysters, this dip will not be for you. I warn you, it is a strong flavor and a little goes a long way. It’s especially better with extra hot sauce topped on each individual cracker. So again just keep in mind, this dip has a strong flavor and it may be an acquired taste. So here’s to Smoked Oyster Dip! Thank you again Mely! Place the smoked oysters with 2 tablespoons heavy cream or sour cream in a blender. Blend well until you have a smooth texture. Add the cream cheese and Tabasco sauce and blend until creamy. Add salt and pepper to taste. Top with more tabasco sauce. Serve with crackers, small pieces of toast or veggies. Perhaps a bit of lime juice? 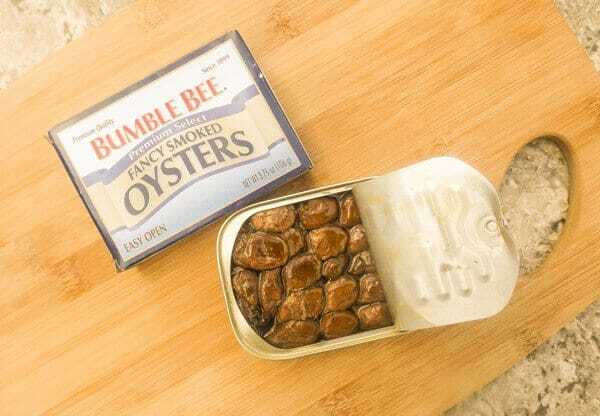 As it is, its just an overwhelming canned smoked oyster flavor. I do however think it may be pretty tasty on a loaded bagel. I’ll give that a shot. Great idea with both lime juice and bagel! Agree this can be an overwhelming canned smoked oyster flavor, that is why I thought it a good idea to make a note of that at the end of the post and forewarn my readers. Thank you for your comment and ideas, appreciate it much! Hope to see you around here again!